Working with the category team at Hain Daniels, the team at Melli have created a compelling trade-focused category presentation. Our category insight, coupled with an ability to deliver insightful and effective communications, meant we were able to produce a presentation that truly engaged the key retailers. 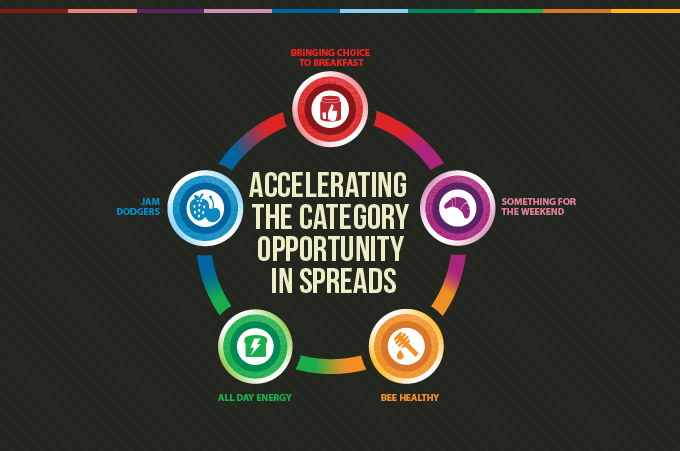 With help from Melli, the category drivers have been developed to push the possibilities of category growth, giving new insight into how spreads can take on new roles in the lives of consumers. The feedback from the retailers has been outstanding, with many of them commenting on the clarity of key messages; something we pride ourselves on at Melli.